Timothy Barney is currently a Managing Director at Banyan Ventures, a private equity investment firm based in Salt Lake City, Utah. Mr. Barney retired from EnergySolutions, which at the time was a NYSE Company headquartered in Salt Lake City, in October of 2008 after nearly 16 years with the company. He had many roles in his time at EnergySolutions which included chief operating officer, VP of investor relations, VP of government relations and VP of corporate development. 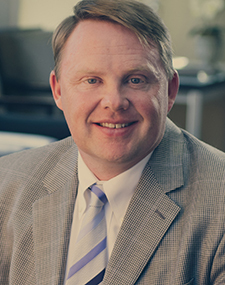 Mr. Barney graduated in 1992 from Brigham Young University where he earned a bachelor's degree in international relations. He furthered his studies with a master’s degree from Utah State University in political economy where he was a member of the Phi Kappa Phi Honor Society. Mr. Barney is active in civic and community affairs and currently serves on several Boards, both in the non-profit and for-profit sectors. He lives in Salt Lake City, Utah. He and his wife Paula are the parents of four boys.